The Winners of the 25th Vancouver Magazine Restaurant Awards! Running a restaurant is a hard business. Year after year we have new restaurants popping up in Vancouver. Vancouver foodies like to find these new gems, as well as visit their established diamonds. This week was the 25th Vancouver Magazine Restaurant Awards, to let us all know about these fantastic restaurants. Below are the results. Make reservations fast because there may be lineups to try many of these restaurants. Enjoy my food pictures as well that I took during the event. Vancouver, B.C. ; April 15th, 2014 – Vancouver Magazine announced today select finalists for its upcoming 25th Annual Restaurant Awards. Finalists were named in the magazine’s new Best of Neighbourhood award categories including: Best Downtown, Best Yaletown, Best West End, Best Gastown & Chinatown, Best West Side, Best East Side, and Best Richmond. These categories join Best North Shore in highlighting establishments for diners for whom location is at least as important as reputation, type of cuisine, ambiance, and price. See attached fact sheet for finalist restaurants. Finalists in the remaining 42 categories won’t be revealed until the gala, to be held at the Sheraton Vancouver Wall Centre Hotel on April 22nd. More than 700 of B.C.’s top chefs, restaurateurs, sommeliers, and food critics will gather to recognize the city’s best. Vancouverites can follow the event live on Twitter and Instagram using #VanMagAwards. Vancouver Magazine’s May issue includes a 42-page feature on all the award categories. The issue will be on newsstands on April 28th and digital subscriptions will be available at vanmag.com. A new twist to the Tasting Plates, Vancouver Foodster has combined tasting with solving puzzles. 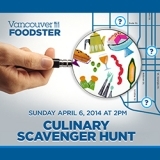 Sign up and try this inaugural event by Vancouver Foodster. The details are below. Vancouver, BC – Your scavenger hunt is a multi-faceted “tasting experience” through downtown Vancouver with clues, challenges, prizes and more. Following your “map and clues card” as your guide, you will enjoy dishes, bites and treats as well as have a chance to meet the chefs and other notable personalities. 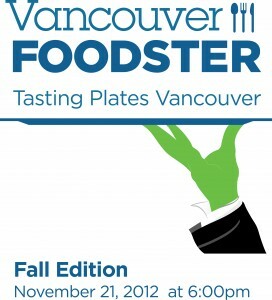 This afternoon tasting experience goes from 2pm until 6pm and is presented by Vancouver Foodster. Bring your friends, your significant other, your family or come solo. Visit each of the participating restaurants, cafes, establishments at your leisure by bike, moped, transit, car, walking, roller skates, skateboarding or carpooling. Registration: Xoxolat -this is where you will show us your printed or digital tickets and will pick up your Map Clue Tasting Cards. More restaurants, cafes, chefs and establishments to be announced soon. Advance Tickets: $40 per person. $120 for a 4 pack of tickets or $162 for a 6 pack of tickets (get a group of your friends/family together and save by purchasing a 4 pack or a 6 pack). Regular Tickets $50 per person after April 4. Ticket price includes dishes, bites and treats at each of the participating restaurants/establishments throughout the afternoon. (Beverages are included at some establishments which will be noted, you are welcome to purchase other drinks at each of the participating restaurants). Do you like Japanese food? Vancouver is well known for our fresh and flavourful sushi and sashimi. I recently was contacted about Vancouver’s first ever Sakura Night, being headed by Tojo! Here are the details. Get your tickets soon as I’m sure it will sell out fast! 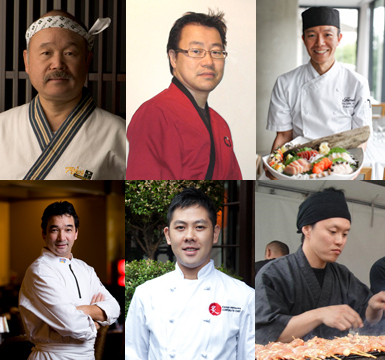 Gold-winning Tojo’s of Vancouver Magazine’s “Best upscale Japanese 2013” Restaurant Awards has combined forces with five of Vancouver’s top Japanese restaurants for the first ever Sakura Night (Sakura means cherry tree in Japanese), hosted by Tojo’s Restaurant on March 30, 2014. Tojo’s Restaurant, Zen Japanese Restaurant, RawBar at Fairmont Pacific Rim, Seventeen89, Miku Restaurant and Zakkushi will be creating seasonal dishes to guarantee an extraordinary standing dinner experience in the elegant ambience of Tojo’s. 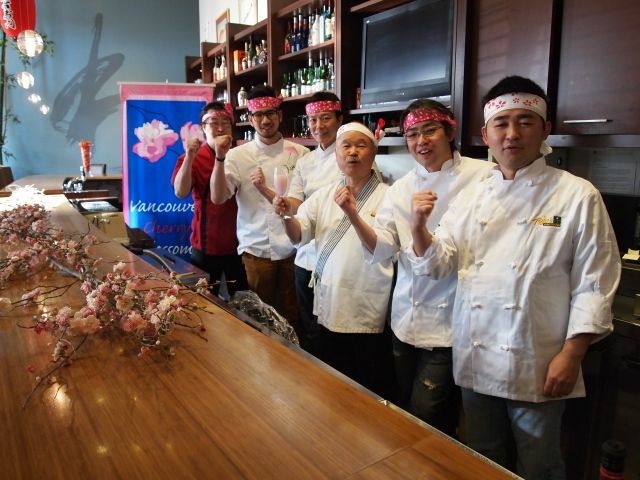 This special evening event opens the 8th annual Vancouver Cherry Blossom Festival (VCBF) while creating delicious culinary memories of Japanese cuisine. 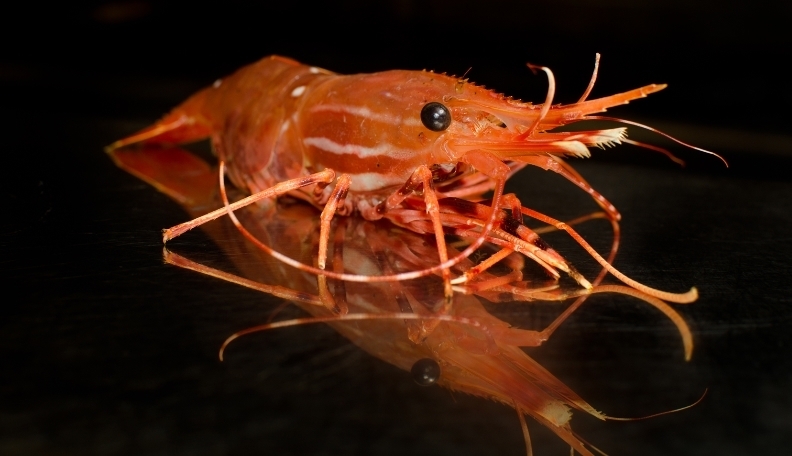 Nobu Ochi from Zen will entice appetites with Ocean Wise-certified ingredients and RawBar’s Takayuki Omi will create sensory experiences for the palate with flavours of the Pacific Northwest. Daryle Nagata (Seventeen89) will tantalize taste buds with his combination of fresh and seasonal local ingredients, Kazuya Matsuoka will present Miku’s famed aburi (flame-seared) sushi and Masahito Iwamoto will be grilling Zakkushi’s mouth-watering yakitori skewers in-house, sharing the authentic cherry blossom festival experience from Japan with guests. “We are so excited to be a part of the Festival and celebrate our cherry blossom cultural experience with the creation of Sakura Night ~ a new evening opening to the festival. It celebrates a very important part of our Japanese culture and gives our best local Japanese chefs a chance to share with pride their incredible food with Festival fans” Chef Hidekazu Tojo. As Canada’s only cherry blossom festival, the Vancouver Cherry Blossom Festival is a charitable, not-for-profit society celebrating our urban nature and the fragile, fleeting beauty of the cherry blossom. Funds raised at Sakura Night enable the Festival to continue to deliver meaningful and accessible, quality programming to strengthen citizen’s connection and engagement in our diverse communities. VCBF speaks to multiculturalism, the arts, community engagement, and to the environment by helping to sustain and renew Vancouver’s cherry tree heritage. Vancouver’s signature springtime event, the Vancouver Cherry Blossom Festival is a month-long celebration of the cherry tree through unique cultural programming including the performing and visual arts, literary, film screenings, design installations, exhibitions, culinary and creative cultural arts. The Vancouver Cherry Blossom Festival is a charitable, not-for-profit society whose mandate is to sustain and renew Vancouver’s cherry tree heritage while educating and engaging community in celebration of the fragile beauty of the cherry blossom. Men are from Mars and Women are from Venus. But does this also work for chefs cooking? Let’s find out with the husband and wife chef couple from Provence Restaurants. Details from this match up / throw down are below. (Vancouver, BC) — On May 23rd Chefs Alessandra and Jean-Francis Quaglia will celebrate 21 years of marriage. Not only are they a couple, but they are also both chefs and business partners owning Provence Restaurants – Provence Mediterranean Grill in Point Grey,Provence Marinaside in Yaletown and the newest venture TWB – The Wine Bar next door to Provence Marinaside. While Jean-Francis is Executive Chef for all locations, he devotes most of his time to Provence Marinaside (P2) while Alessandra casts a watchful eye over Provence Mediterranean Grill (P1). Over the years a friendly rivalry has blossomed between P1 and P2 – each offering slightly different menus and completely different ambiance. On May 29th, Provence Mediterranean Grill will be the site for Husband vs. Wife – a Chef’s Challenge. Who does the better halibut? Alessandra? Jean-Francis? You be the judge. For this one night only P1 will offer a set three-course set menu for $50 (including tax and gratuity but not beverages). The first course is a choice from the restaurant’s antipasti case and dessert is Cherry Chocolate Clafoutis. It’s the main course where the halibut throw down happens. Two very different versions of halibut will be offered – one by the wife, the other by the husband. Guests won’t know who has created which to keep the competition unbiased. At the end of the evening Provence will tally up which main course sold the most and will announce the winner via social media and in its newsletter. At the moment, this event is planned as a one-off. However, if there is a lot of demand and the event quickly sells out; they may consider repeating it on May 30th and then doing a different competition at Provence Marinaside next month. So join us for some ‘all in the family’ fun at Provence Mediterranean Grill on May 29th and you get to pick the winner. It’ll be a halibut of a good time.